If the challenger to the above POI is present in here, I would really love to hear from you what is your basis for saying that the phone number is wrong. And do enlighten me on what is the correct phone number. Heh, that’s exact phone number from the website, so unless the web address is somehow wrong too - looks completely legit. Exactly! So I dunno what the challenge is all about! This point survived the challenge. Another challenge has been launched. Reason given: wrong address Either someone is taking the piss or the challenge bot has already been created. Could this challenge be automated? Probably same challenger as the previous one. Kinda unbelievable that this person is making another challenge without checking the facts, which is why I am thinking it maybe a bot (someone mentioned this possibility in another post). …or a diversion to pull votes away from the juicier targets Possibilities are endless. Like the ACL Live at The Moody Theater? 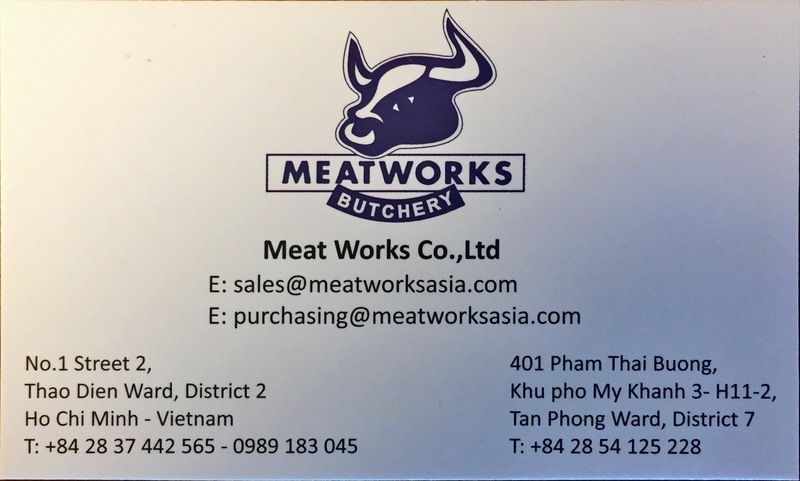 @N_O_O_B Meatworks Butchery remains on the Map! This is getting ridiculous! Reason for challenge - “Staker of the POI is a communist”! Is it the same challenger? 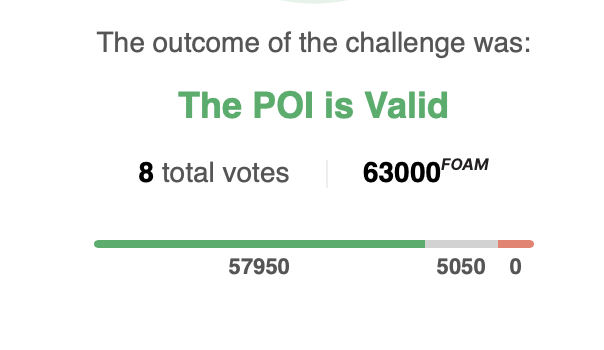 It seems like once a POI has been validated, it should become harder to remove it, if it is challenged again. Maybe by exponentially increasing the required challenge stake vs POI stake. Thoughts? I have no idea whether this is the same challenger. But if I have to venture a guess, I’d say yes. All three challenges were frivolous - the first 2 times, challenger didn’t bother to verify whether the information was correct or not. And this time is just ridiculous. 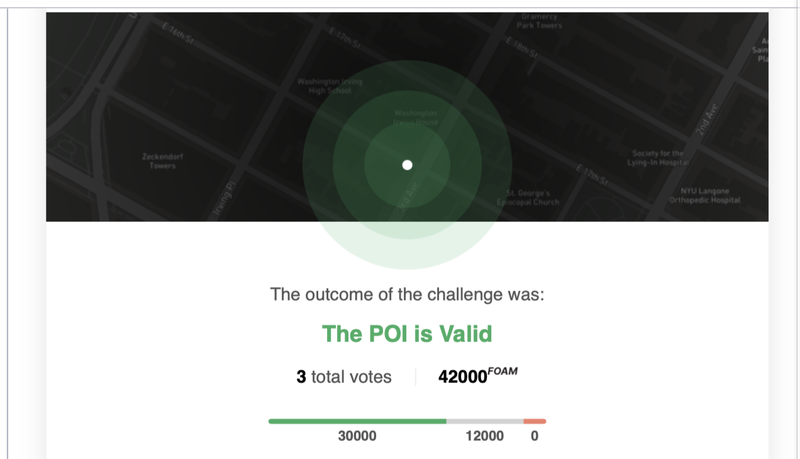 Also of note, this address is currently #1 on the leaderboard in terms of tokens won in challenges, currently at 50k FOAM. This address is also high up on the leaderboard in terms of number of tokens earned in challenges. The third challenge that said Reason for challenge - “Staker of the POI is a communist”! is from the same address as the second challenge. What is most notable is that the tokens in the second address came originate from the first, which was an address from the token sale. These are the same people who keep challenging this point. This is so unfair … I consider myself a capitalist! Good thread, this is a really interesting forum. I haven’t had the time to follow closely lately but really enjoying hearing all experiences of battle testing the map.